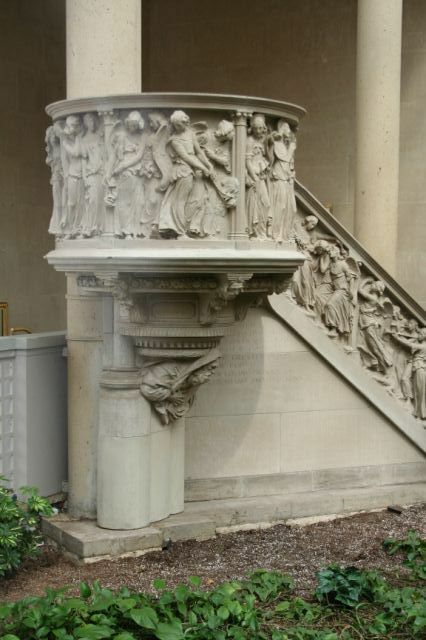 A central feature of the Metropolitan Museum of Art’s American Wing Courtyard is the carved limestone pulpit by Karl Bitter. 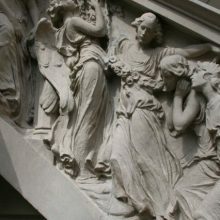 The 1890’s work was salvaged from the All Angel’s Church. 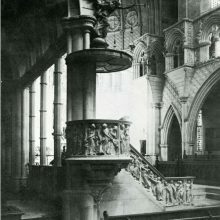 The pulpit rests on a figure of Moses holding the tablets. It is surrounded by a beautifully carved railing depicting a procession of angels playing musical instruments that lead up the stairs to the circular pulpit. 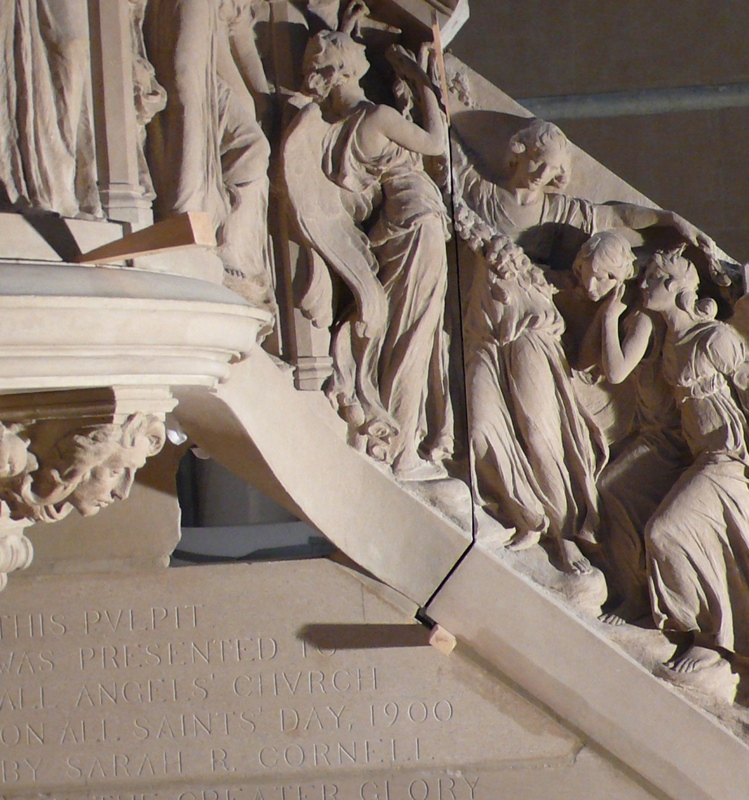 A wooden soundboard and trumpeting angel stands atop the speaker’s area. 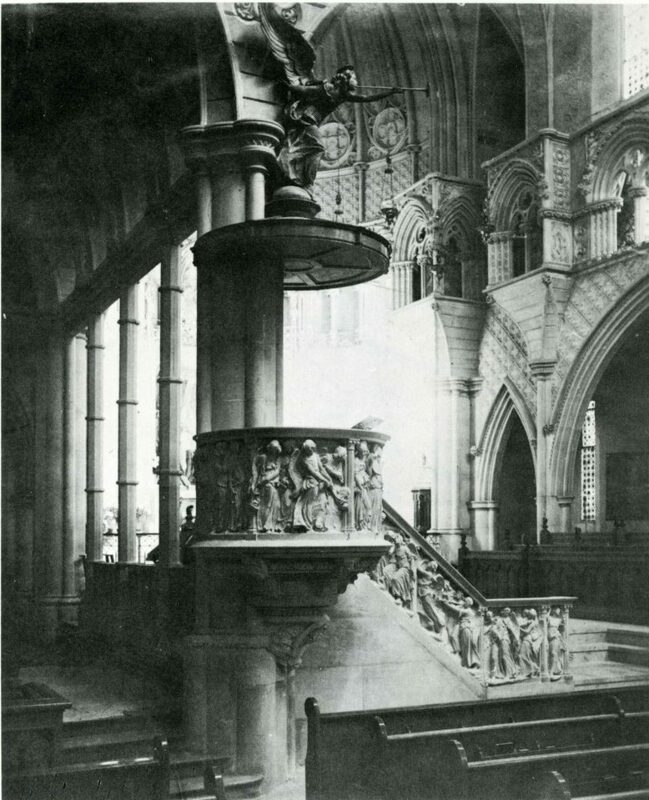 In preparation for a major restoration of the courtyard, we disassembled the pulpit into its component stones. 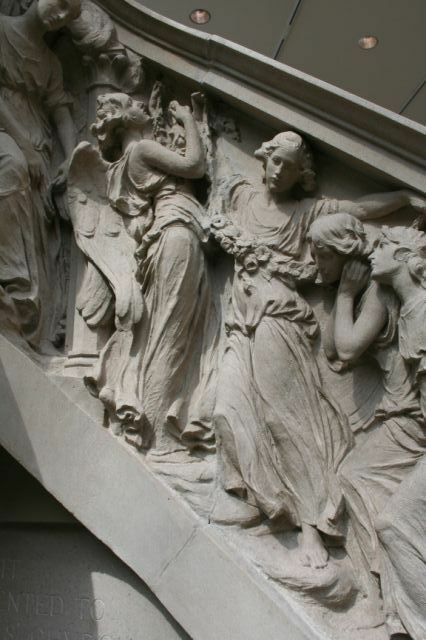 Each was thoroughly documented before being carefully removed by hand sawing each of the surrounding mortar joints. The blocks were hoisted by hand and transported to a nearby site where the museum crated them for storage. Extreme care was exercised to ensure that no additional damage occurred during this work. Carefully measured drawings were made of each stone and of the overall layout so that the work could be correctly installed in a new location within the courtyard at the end of the restoration. 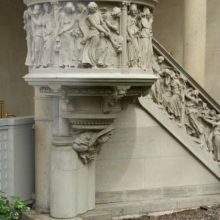 We re-installed the pulpit at a new location in the courtyard in 2008. 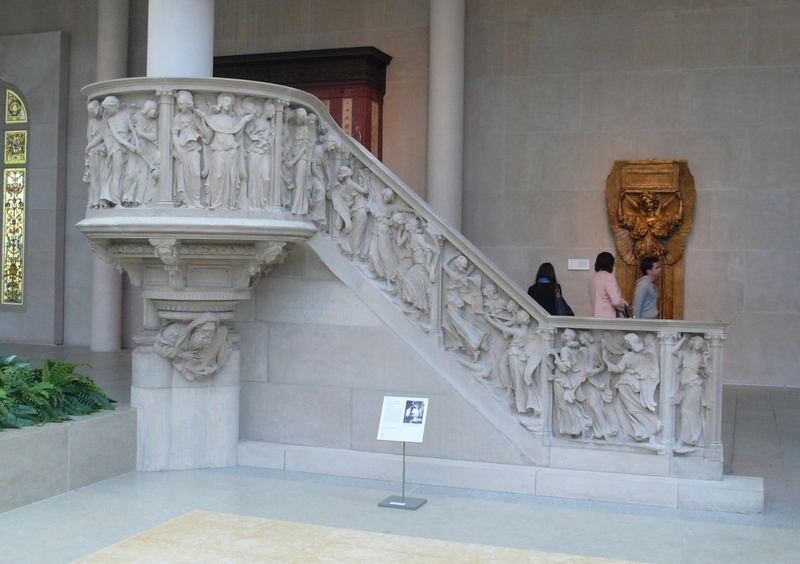 Each element was carefully replaced in its original position and orientation. 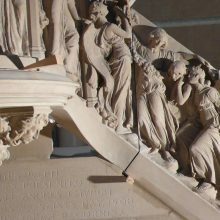 Newly carved limestone replacement blocks were integrated into the installation as well. 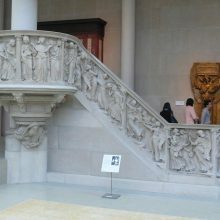 Following the curator’s direction, the steps were not installed and the rail was re-aligned so that it matched the originally intended design.